I have been a member of the board listed below for over a year. I cannot get past the initial home page. When I try to go to the forum or to read a specific thread it kicks me out of the entire board. I have repeatedly entered my correct password, and I continually receive the message: "invalid password." To a non-computer person, the Log-in system you have is quite complicated. "Small-case letters, large-case letters significantly complicate the log-in process. I am confused as to my computer date and time not matching the UK central computer system. Does that mean that a 7 hour time zone difference--say between America and London, UK (and in fact a completely different day), cannot post until the days are in sync. Why would my computer not have the correct time and day? My on-line computer company is owned by the BILL GATES. I assume a company owned by Bill Gates would have the correct time and date. Your e-mail addresses themselves are UNDELIVERABLE, as I have tried to reply to various e-mail addresses. Hopefully, the password/invalid password can be resolved. Hi! I just signed up. 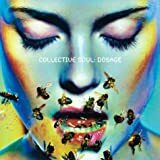 I am usually on the bb.collectivesoul.com. I see some familiar people. i am having trouble logging in. it says the sever might be temporaliy down or i have a local area network firewall which i don't. can you fix this? having problems logging in, it says wrong password. I haven't logged into my account for months and now I can't get on any boards at all. It says I'm logged in, then nothing. I checked your cookie page and it said "no cookies", however I do have cookies enabled. I tried on 3 browsers and got the same thing. I cleared cookies and tried again, nope. I also have java enabled and gave site permissions. Any ideas? From the sound of it either a firewall is blocking cookies or possibly the time/date is wrong on your computer because that too would prevent the system from making a valid cookie. Can you check the time/date on your system to make sure it's set properly because we just had Daylight Savings time here Fall Back so maybe that is what the trouble is. I looked in the database and it only showed your post here on Support so I am guessing the boards you posted on were inactive and purged from the servers over the past few months. I would guess that is why you're having trouble finding them. I haven't posted in a while, no. But I turned off the firewall and the date and time is correct on my computer. I do have the browser set to accept all cookies, but it keeps telling me "no cookies" and I can't get on any board but here. Since you're logged in NeverDragon you really aren't having a cookie problem, that you're unable to get on other board is a problem though. Can you try to use the BbRing jumper at the bottom and go on the Sample board? If you can post there then you're set. It's probably just that the boards you used to frequent are gone, if you can give me URL's of places you can't go I can verify this theory. Am trying to access the Idaho Statesman message board and am unfamiliar with this board system. I have registered and logged in, but don't know where to go from here. Could you help me, since I ended up on your page? Thank you up front for all your help! Interested in recovering this board. Former administrator is deceased. Can you help? Thank you. We could only do it if you were a mod from the board. Only someone who had admin or mod powers can request a board's restoration. We can't do it for former members jebel subh. I'm sorry the admin has passed on, but we can't restore the board unless one of TcBrown's mods wished it and requested it. I'm sorry. I was a moderator for the old Heal NPD board. What's involved in getting it going again? I talked with BbBoy and he seems to remember them switching to the new software, so you'd just need to find the new board melaniemac. What I found was: www.healnpd.org and right now it's not working, so they might just be having trouble. But only an admin can revive an old board here on BbBoard. I've been following the discussion about restoring this bboard and wish to offer the following. I do respect your need to protect your client's property and wouldn't want it any other way were my board the one in question. Unfortunately, the admin for this board has indeed, sadly, died and this bboard is what little there is left of his work that meant so much to many. The domain name for his newer site, healnpd.org, expired on December 27, 2007, and its content is no longer available on the web. I'm in contact with the admin's family and might be able to provide confirmation along that route if it would help reassure you restoring the board to the control of current mod, melaniemac, won't compromise the admin's interests. Sorry to belabor this, but I feel compelled to do what I can. Is there any hope? We've decided in this special circumstance to turn control over for the board to melaniemac, since melaniemac is willing to take over. Thanks for posting and changing our minds. I have made her username an admin and enabled donations so people can donate to upgrade the board because we don't host free boards any longer. It didn't need restored because it was never deleted so things should get back to normal there for you soon John. If you need anything else just post and let us know.